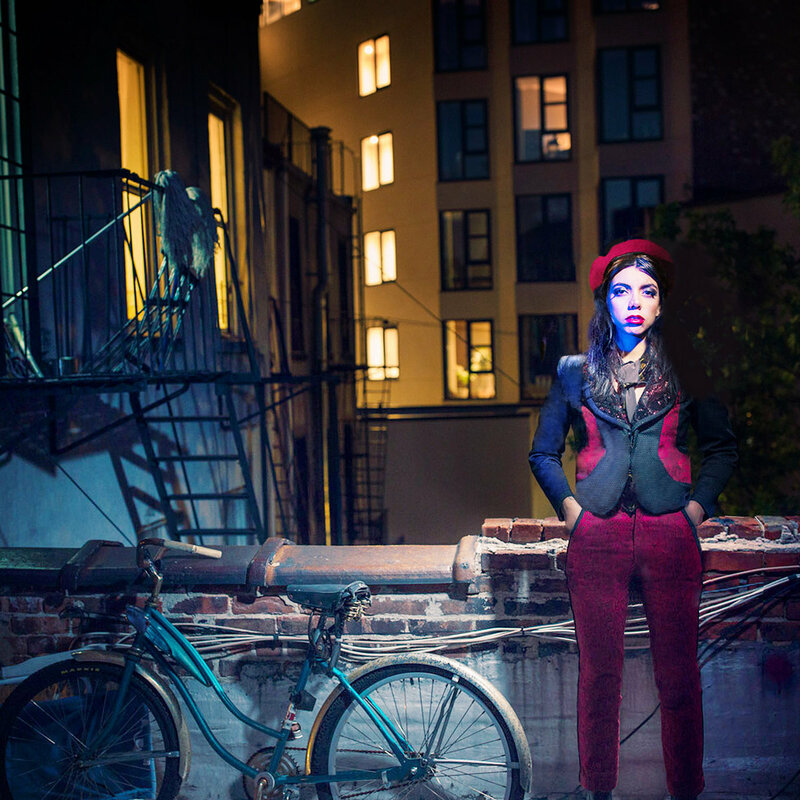 I always feel a little at a loss when talking about Hurray For The Riff Raff. The main project of Puerto Rican-American Alynda Segarra, I was first asked to cover her way back in 2014, and after an extended delay I finally got to dig into the back catalog and their debut on ATO Small Town Heroes, which I may have miscategorized as a major label instead of just being one of the larger indie labels. But to some extent it wasn't an unfair categorization - before Small Town Heroes there was a much more ragged and disheveled character to the production that I found powerfully organic and really charming, the sort of rougher tones that felt potent and authentic in the best possible way, something that the smoother, cleaner pickups didn't quite flatter. And what got frustrating is that it wasn't the ballads that suffered, but the more upbeat songs with greater rollick - which of course wasn't a terrible thing, as the restraint allowed the really strong songwriting to shine through, but it also meant that many of my fonder memories of Small Town Heroes are slower and more melancholic rather than of the real edge Segarra could bring. And yet that looked to be changing in a big way on The Navigator, an album that has won Hurray For The Riff Raff real critical acclaim for venturing back to the roots - and when I say that I mean Segarra's Puerto Rican roots on a full-fledged two part concept album, both in the sound and writing. Which yes, is a bold step for a record barely over forty minutes, but that could reflect a level of rough tightness that I missed from before she signed with ATO. And when I heard this record was digging more deeply into the social themes that colored 'The Body Electric' and 'Small Town Heroes', I was all the more intrigued... but just like last time, I'm late to the punch with this one. But given that I'm the only person who has ever reviewed this group on YouTube, what did we find on The Navigator? Okay, this was a fascinating listen - and a surprisingly challenging one, especially if you're looking to decode the narrative arc of the record, because Segarra manages to squeeze a lot of subtle nuance into forty minutes, all the while maintaining the real charisma that has been the anchor point of Hurray For The Riff Raff since their inception. But while I'll definitely say I approve of how the production is trending rougher again, if you're going in expecting another country folk record, you're going to be surprised, because this is easily the most diverse release that the group has ever released - and I daresay it'll probably end heralded as their best, because for all the analysis I'm going to do, this is a damn great record all the same and I can certainly see this becoming a cult favourite, especially among its target audience. So before I get into the plot of this record - which really is integral to explaining the artistic shift that happens here - we need to talk about the biggest reason you need to hear it: Alynda Segarra herself. After all, for as much as she says she's playing an alter ego on this record, it's hard not to see a lot of autobiography creep into the picture, mostly because the subtext of her narrative has a deeply personal message. But it's a narrative that requires real versatility as a performer, and Segarra delivers, from the streetwise calm and trembling, bone-deep exhaustion that carries into 'Living In The City', 'Nothing's Gonna Change That Girl', and 'Settle' to the ragged intensity lurking beneath 'Hungry Ghost' and the title track. You can tell that walls were created as a necessity of life, but this is a record that's working to challenge and sunder them, and when we get the white-hot core at the roots of 'Rican Beach' and especially 'Pa'lante', you're not just seeing an identity reforged but an artist willing to stand firm in defense of those without a voice and call to arms those that should stand. And points must be given to the production here - not just in capturing the rough-edged grit of the city around her, but also for knowing exactly when to switch the pickups to emphasize a very different vibe - compare the hazy lo-fi indie country pickup on 'Life To Save' that has all the feel of a drunken collapse to the strident spotlight of 'Pa'lante', and while this record has a strong theatrical presence, the power of that song comes in how it doesn't use reverb or indeed any effects at all - raw and direct and entirely reliant on Segarra's performance in a choice few producers would dare to make. And then she wakes up into a strange new world - forty years later, and New York has dramatically changed. The wanderer wakes up to not only see a gentrified neighborhood and the fourteen floors of her old building leveled - history wiped away unthinkingly - but all of her people shoved out into the waste. And 'Rican Beach' is a damning indictment indeed with its hand percussion, brooding prominent bassline and spiky guitars, showing not just how culture is stolen and appropriated, with the originators shoved away and walled off - yeah, you didn't think there wouldn't be a reference to this, especially as ICE agents have tried to deport people from Puerto Rico despite being a part of the goddamned United States you blithering imbeciles - and a whole lot of creative types not saying a damn thing about it. But this is where Segarra takes things deeper - because she is still the same person who sought to run away from that culture and 'Settle' is a powerful crossroads moment. Because if she wants, she can settle into that gentrified system and put aside her roots and not speak out, or she can leave - gentrification would be happy to usher out and leave her bereft of history and home, something her parents traveled long to establish but is treated with at best casual disinterest by everyone else - and what makes it so compelling is that Segarra knows on some level it would be easier to settle - but it wouldn't be who she really is, and it would give up her voice. That's one reason the West Side Story callbacks have such resonance, as Segarra uses the subtext of voiceless American youth - particularly if you're not white in America - to underscore her own internal struggle. And it's what makes 'Pa'lante' such a striking moment on the album: she's not just claiming her agency and her history and her roots - one reason why Nuyorican Pedro Pietri's poem is incorporated midway through the piece - and while she might continue to wander from her home, she'll be damned her kindred are denied their voice, or - to make the obvious parallel so many critics already have sketched - a seat at the table, especially given how long they've been there. And thus it makes perfect sense when the album hits its finale and recalls the navigator motif in lyrics and melody, doo-wop has been swapped for salsa and Spanish guitar and hand percussion and lyrics in Spanish - heritage reclaimed. In short, as I already mentioned, what many will say Solange did for black women on A Seat At The Table, Hurray For The Riff Raff does for Puerto Ricans and those of Latin descent on The Navigator - and I honestly think Alynda Segarra does it better. The melodies are sharper and catchier, the narrative and themes are more firmly defined - blunt language born of punk picking up plenty of nuance in the details - and a frontwoman delivering the dramatic performance of her career. In other words, this is easily a strong 8/10 from me and a high recommendation, not just for fans of theater or country folk or Latin music, but everyone - it's that potent and deserving of attention. And while it might feel all the more strikingly relevant right now, I have the feeling this record's roots will linger - voices that deserve to be heard.